Located in the heart of historic Brewery Gulch just off Brewery Avenue, experience Old Bisbee Brewing Company, our renown selection of beers (including our special root beer), gourmet bratwurst and vegetarian chili, in a setting where you will want to spend hours gazing at the mountains from the elevated patio or enjoying conversations in the Tap Room. 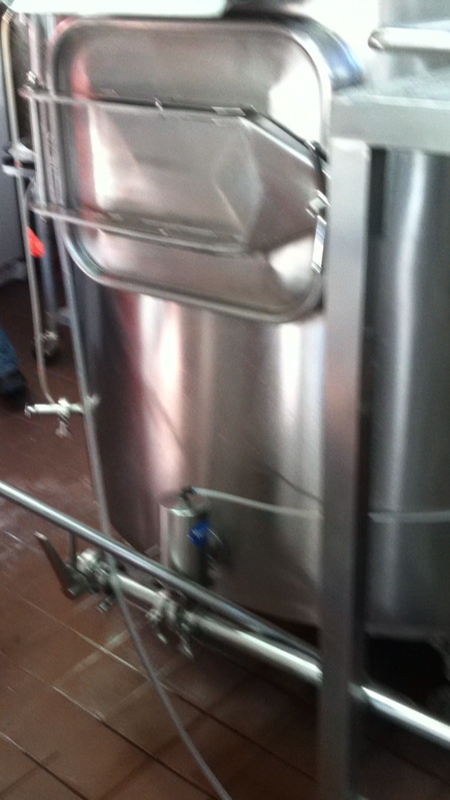 Imagine a boutique brewery, ultra modern in design, totally custom built to create beers of the highest quality. 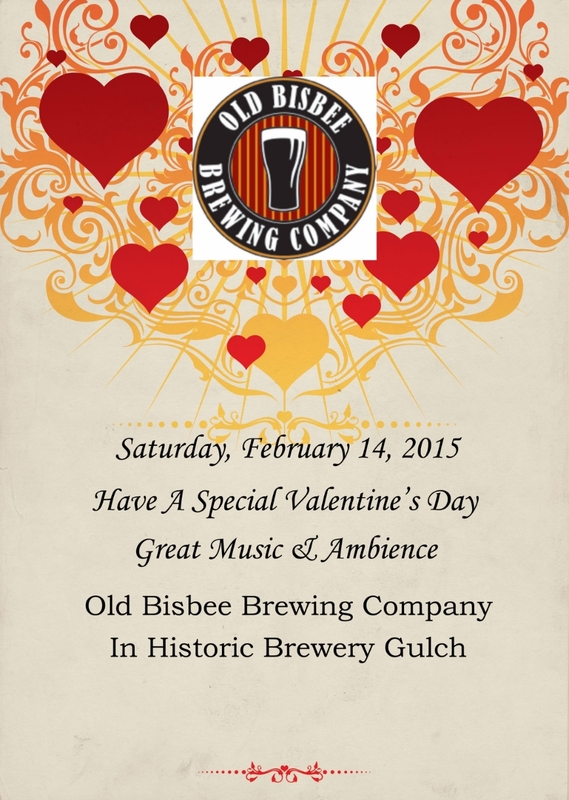 Now, place that brewery in a great historical setting.....That is Old Bisbee Brewing Company. 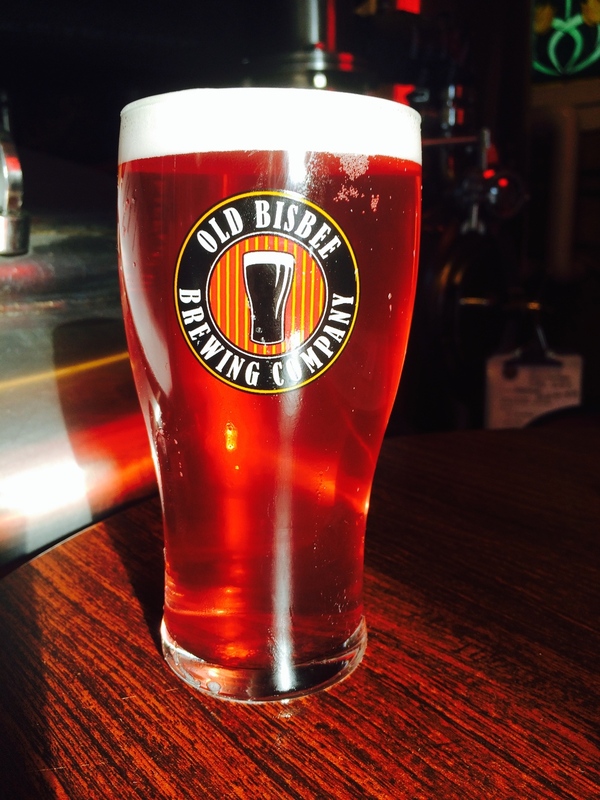 Established in 2010 above legendary Brewery Gulch in the mile high, historic town of Bisbee, Arizona, Old Bisbee Brewing Company has become renown for the exceptional quality of its' beers. 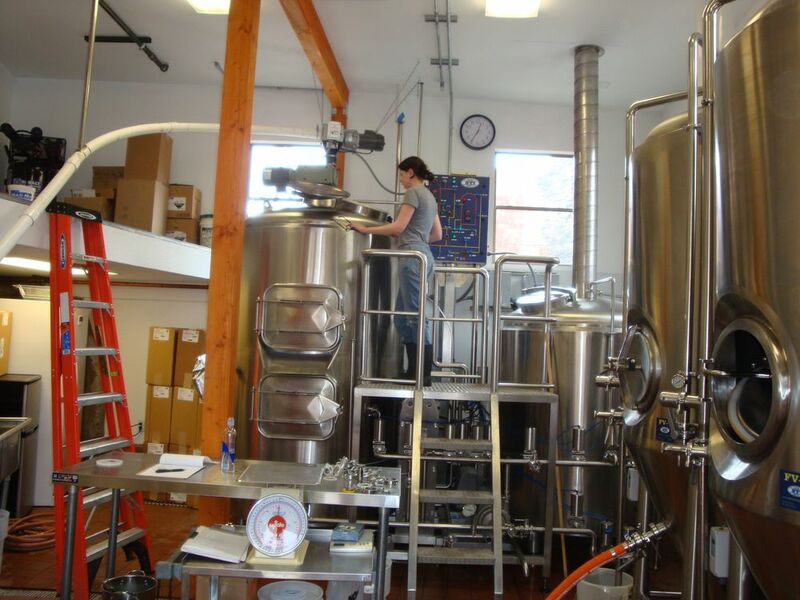 Also, with the great brewing capabilities of both equipment and staff, Old Bisbee Brewing Company is incorporating local ingrediants such as our own local, native hops, Sonoran mountain limes, and Sonoran white wheat to creat brews found at no other brewery. 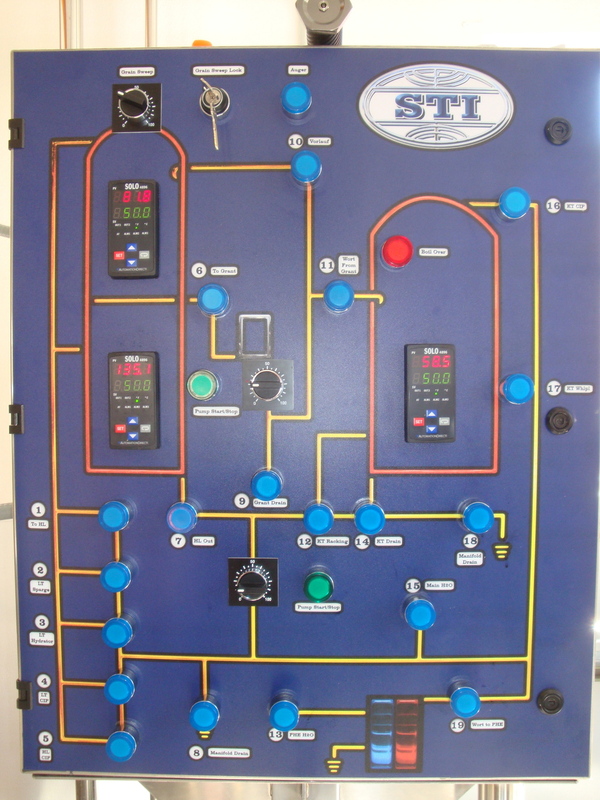 Take a mini tour now of our beers, and the brewery on the following pages. As you can see, the joy goes beyond producing such renown beers. The staff and customers love the place and there are many special events to enhance what is already great!. - Checkout the Event Calendar. For a special time too, stay in our Penthouse above the Tap Room. Originally designed for the owner, the bedroom, full bath, open kitchen living room suite even has its own private balcony overlooking brewery gulch. Available on a nightly basis, it is a good idea to reserve far in advance. We always enjoy seeing our customers but when you can't make it, savor our beer at select locations in Tucson and Tombstone as well as the many fine establishments in Bisbee. Hope to see you soon! We use the very laborious European brewing technique to make this beer and yes, we use Pilsner malt and Czech Saaz hops to produce what Pilsner should be. Alcohol: 5.2% by volume. 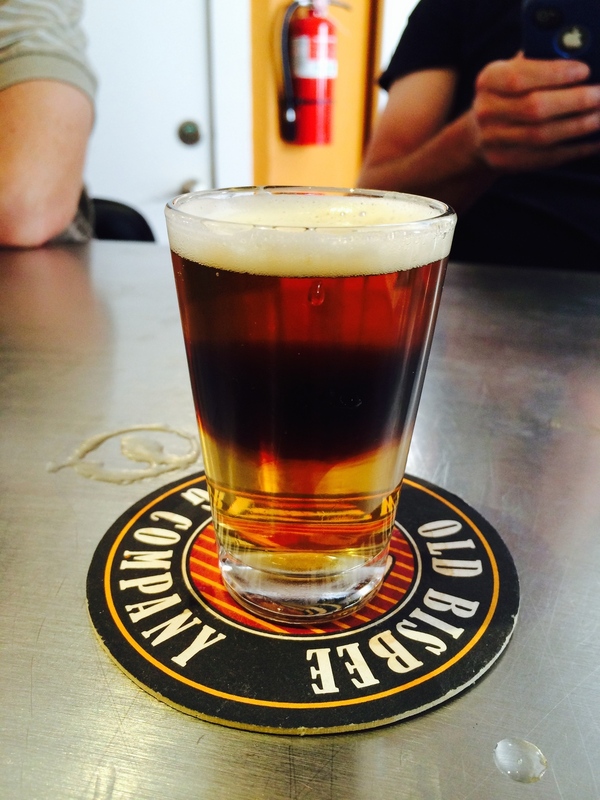 First made in Brewery Gulch in 1881, this smooth brown ale is so popular. Rich yet not heavy. Alcohol: 5.0% by volume. 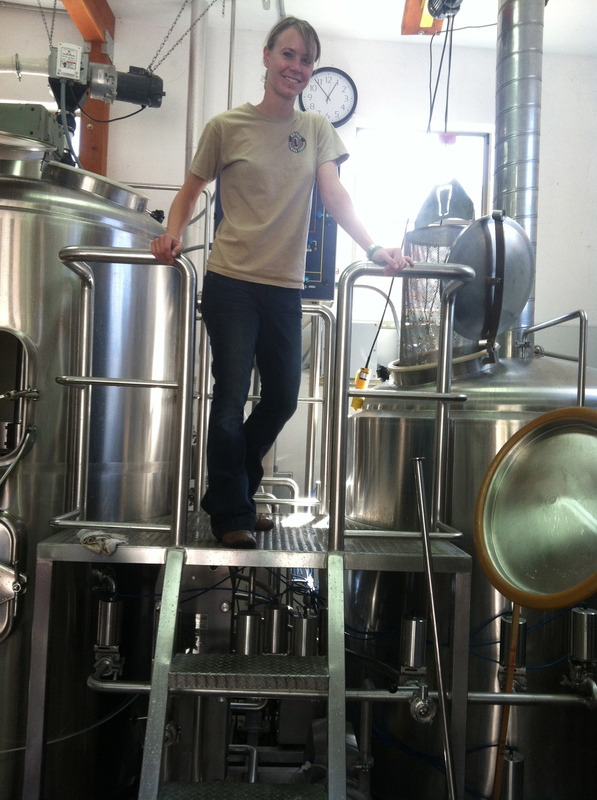 Our brew master trained in England, home of IPA's. It shows. Even people who normally don't like IPA's drink ours. The secret is the balance among the full hop profile, high IBU level and the special malts. For you IPA fanatics, the IBU level is 80 and we add six infusions of hops (normal is 3) including dry hopping. Alcohol: 6.5% by volume. We discovered in mesoamerica a bean used for at least 4000 years in brewing of a coffee like product. It goes by different names in different areas,; the most common being Mayan nut. While producing flavors and aromas somewhere between coffee and chocolate, the Mayan nut produces no bitterness. We feel it is a great addition to our specialty grains in the creation of a satisfyingly rich and smooth stout. Alcohol: 7.4% by volume. So you don't like beer? Try Salut!. It tastes like wine (Some say Champagne). 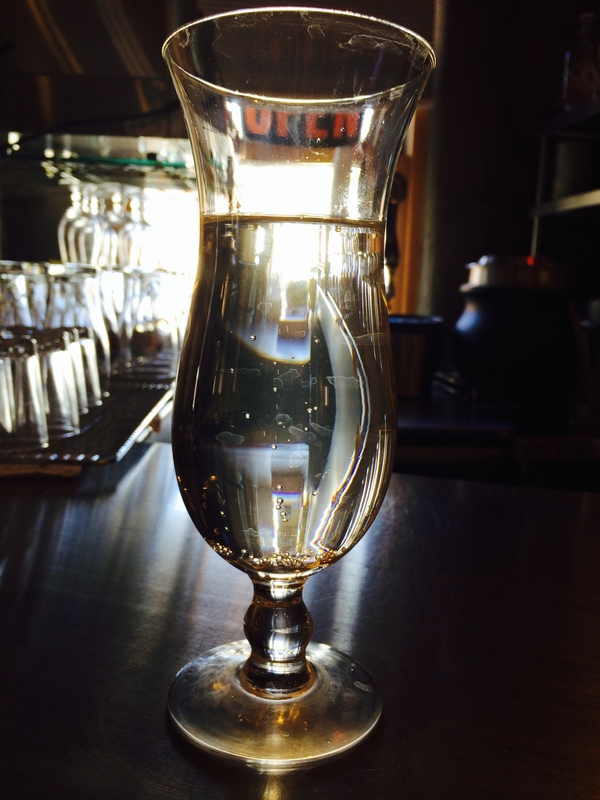 Developed in France in the early 1880's because of the wine shortage, now available only at our brewery. Alcohol: 4.8% by volume. The whole brewing staff gets into this. Made in very small quantities. Rested in barrels to blend and harmonize flavors, these beers are a lot of work to create. We think it is worth it. See if you agree. For our cask beers currently on tap, go to our Facebook site. 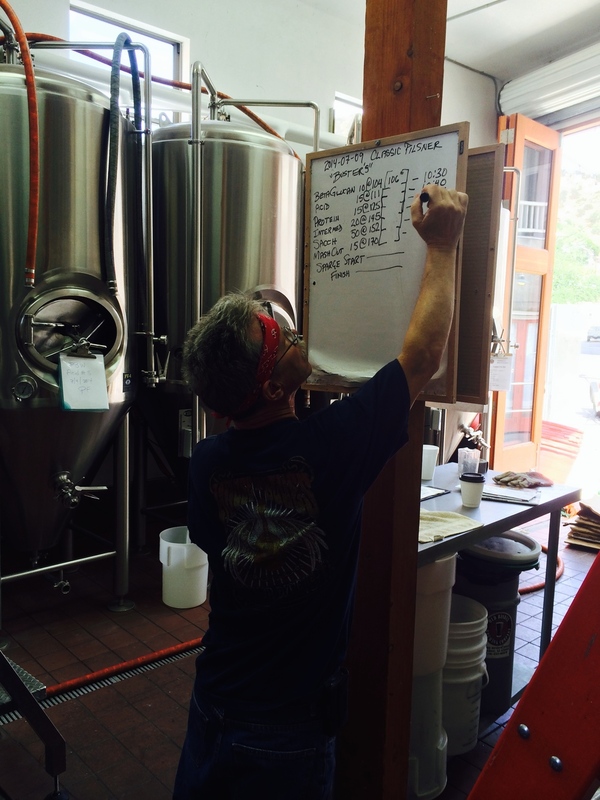 Our brew masters constantly have new ideas they want to try out. Ask about our current seasonal flavors. you could find a new favorite. Under the category, "Man (woman) does not live by beer alone"
One day our brewing staff got all excited...A very Ritzy resort left a message that they desperately needed our product. What they wanted was our root beer! Yes, it is very good but really. We do spend a lot of time on it. Enjoy but don't ask for the recipe. "State secret" will be the reply. No, this isn't a hotdog and, no, it isn't made in Arizona (It would be chorizo then.) Simmered in beer and barbecued on the patio, it is hard to beat. For over 20 years Roka's restaurant has produced some of the finest cuisine in the whole state. It helps that our brew master is a long-time friend of Rod Kass, the great chef/owner of Roka's. Straight from their kitchen, this chili is the best and it is vegetarian, too. Of course, you can combined the bratwurst and chili for the ultimate experience. In Bisbee, we like to have fun. Our Tap Room is always a place of camaraderie. 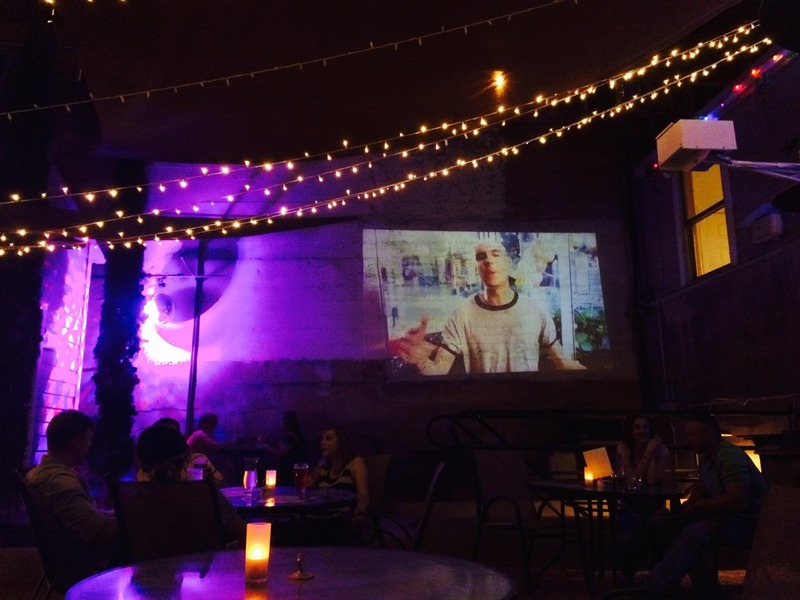 As the sun sets, the Patio comes alive as the cascading lights come on, video screen lights up and our famous disco ball emerges from behind the patio building. We do make a special effort though, to make the events something very memorable and outrageously fun. Look at the pictures! Our patio is said to be a most romantic place. Additionally, the Tap Room is specially decorated and you can create a custom valentine with our free card making supplies. Can you imagine St. Patrick's Day without green beer? View our emerald highlands, while sipping our special St. Pat's Emerald Ale beginning, Saturday, St Patrick's Day. Speak Spanish, English or Spanglish on our Patio while listening to mexican music, enjoying one of our beers and have our chorizo (bratwurst) and chili. What fun! We don't call it Mexican Independence Day because that is September 16th. We celebrate Cinco de Mayo to toast our great mexican friends and heritage. To make it convenient for more of us, we will celebrate on May 2nd not May 5th. We embrace the "great rainbow of people" here in Bisbee. In mid-June, this citywide event shows how hospitable Bisbee people are as what has come to be a huge event unfolds over multiple days. Historically, the time of miner's competitions and our great coaster race. You will have the best vantage point to watch the miner's competition from our patio, One of only two times during the year that Brewery Gulch is blocked off so competitions and celebration can be unimpeded. We will open early. The second weekend of August is the time to join the pirates. Created by Old Bisbee Brewing Company to celebrate this enclave of pirate hijinks. "Where do smart pirates go during hurricane season? Bisbee, of course. We never have had a hurricane." (To be held on the 13th of August, this year). The first weekend in September is host to the "Daze". The other time time when the gulch is blocked off to afford us all a great time to watch the pet parade, and the crowning of "Miss Bisbee", eat from the concession stands and listen the music. You can see it all from our patio. (To be held on September 5th this year). September 12th our legendary music festival takes place in Brewery Gulch at City Park. Some of the best musicians you will ever hear will be there all day! October 8th is the time to enjoy some bratwurst, sauerkraut, and pretzels and our special Oktoberfest Harvest Ale. I know, you can enjoy the Old Bisbee Brewery, but during Oktoberfest, with all the great Bavarian costumes and music, you'll think you're in the Alps. The famous Bisbee 1000 Stair Climb takes place every third Saturday in October. Thousands come to Bisbee to compete in this national event. In recent years, the Bisbee 1000 Brewfest has grown with breweries both in and out of state participating. We enjoy "our brethren" being here and you will too! There is nothing like celebrating Halloween in Bisbee. Granted, you see a lot of slightly weird costumes any given day in Bisbee but we go all out on Halloween. 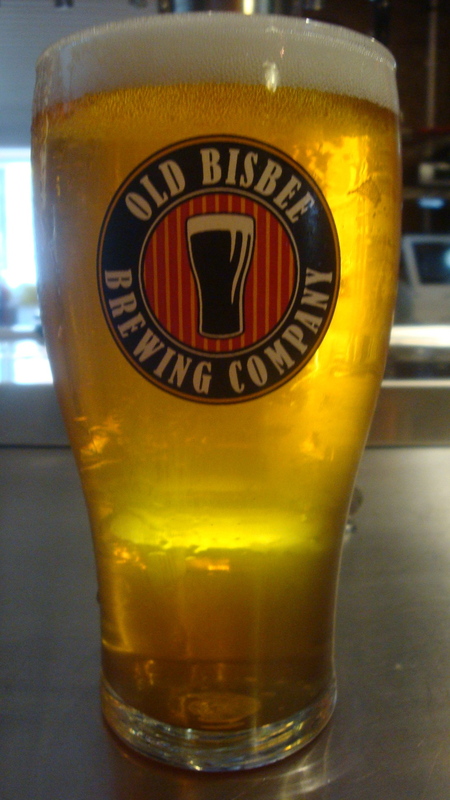 New Years at Old Bisbee Brewing Company is the place to celebrate the coming of the New Year. And, yes, we have a special techno show at midnight. Salute the New Year with Salut! Originally designed as the owner's residence, the Penthouse was renovated in May of this year to provide maximum enjoyment whether you stay for just one night or for a week. Featuring a private balcony overlooking Brewery Gulch and also private access to the Tap Room. And, yes, well behave pets are welcome (with an additional cleaning fee). What more can you ask? 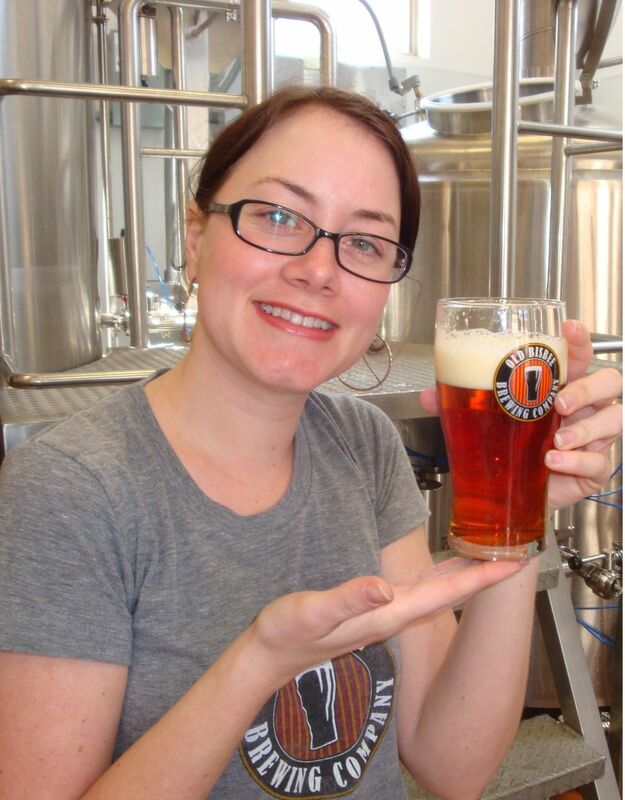 Call the brewery at (520) 432-BREW (2739) or book online through SUPERINN..